Eulogy Tavern and Triumph Brewing Company In Philly! This is something different that I’m about to do, but I wanted to share these 2 pretty cool and amazing Beer places in Philadelphia. My husband and I went out last night for our anniversary to Eulogy Belgian Tavern. The restaurant features Philadelphia’s largest beer selection with over 300 international and domestic craft brewed bottled beers and 21 draught beers. The place is small but not too bad, I would recommend it. If you plan on going there, make a reservation so you don’t have to wait around. The food was pretty good. We had the Moules (mussels) Mariniere (white wine) and a Fruit and Cheese board. My only problem that I had with this place is that there is way too much beer that you don’t know which to choose. You would expect your server to help you, which she did, but it was kinda of like “DUDE if you don’t know what you want I can’t help you.” You just feel rushed because there is such a high demand to go there, that they have to constantly cycle people through unless you are seated at the bar. Anyway, I might go back, but am not in a rush to do so. 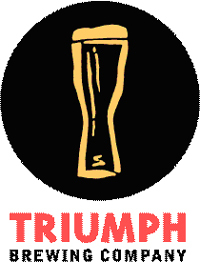 After Eulogy my husband and I decided to cross the street and go over to Triumph Brewing Company. Let’s just say we should have just skipped Eulogy and went to Triumph instead. We sat right down, had great service, and our waiter was very helpful. We ordered a Beer Flight which came with 8 different beers. Awesome selections with a SMOKED Beer called Rauch Bier. Even though we didn’t order an actual meal we ordered a appetizer called Captain Enzo its a smoked monkfish pate, with evergreen farm asian pear. We also got an Apple and Pear cobbler which was great but could have been a little warmer on the cobbler side. The atmosphere was great. They had a jazzy groovy band playing that really grooved. I will definitely be returning to this place and will recommend this place to anyone that lives in Philadelphia or that is coming to visit. Excellent — have a conference in Philly next month and would love to visit these places! I like both places! Eulogy can get pretty crowded, but if you go back get a “Dirty Hoe” … It’s a hoegaarden with a splash of raspberry liquor. Omg! So many great places to get beer in Philadelphia… and @itsgoodtobethecook… this Dirty Hoe sounds awesome. I’m going to have to remember that. My newest current cocktail choice in Philadelphia is the Ranstead Room… it definitely as a prohibition theme, the drinks are each $12… but they’re fabulous. It’s one of those places where I go, get one and call it a night. So good. Triumph is in Princeton, NJ too. I have been enjoying the place for many years! The Triumph in New Hope is excellent. Nice food, no city hustle. Besides Eulogy (which I agree can get packed), I’d also recommend Monks on 16th Street. Ok, who am I kidding, Monks can get awfully crowded as well. 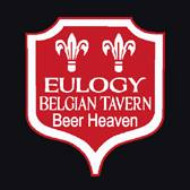 Still great Belgian beer and food along the line of Eulogy’s.